Psidium cujavillus Burm. ; Psidium pomiferum L.; Psidium pumilum Vahl; Psidium pyriferum L.
Guava (Psidium guajava L.) is an important tropical tree cultivated for its fruits. The fruit processing by-products, the leaves and the fruits themselves can be used to feed livestock though their nutritional value is low. Guava is a fast growing evergreen shrub or small tree that can grow to a height of 3-10 m. It has a shallow root system. Guava produces low drooping branches from the base and suckers from the roots. The trunk is slender, 20 cm in diameter, covered with a smooth green to red brown bark that peels off in thin flakes. Young twigs are pubescent. The leaves grow in pairs, opposite each other. The leaf blade is elliptic to oblong in shape, 5-15 cm long x 3-7 cm broad, finely pubescent and veined on the lower face, glabrous on the upper face. The flowers are white in colour, about 3 cm in diameter, solitary or in 2-3 flower clusters borne at the axils of newly emerging lateral shots. The fruit is a fleshy, pyriform or ovoid berry that can weigh up to 500 g (Orwa et al., 2009). The skin colour is yellowish to orange. The flesh can be white, yellow, pink or red, sour to sweet, juicy and aromatic (Ecocrop, 2015; Orwa et al., 2009; Soetopo, 1991). The fruit contains a variable number of seeds (about 3-5 mm long) and its mesocarp is characterized by the presence of small (0.1 mm) and hard fibrous structures called stone cells (sclereids), which may cause damage to processing machinery (El Boushy et al., 2000; Weinert et al., 1988). Guava is mainly grown for its edible fruits that are eaten raw or made into purée (pulp), jam, jelly, paste, juice, syrup, chutney, etc. (Murray et al., 1989; El Boushy et al., 2000). It is cultivated in orchards or in home gardens in many tropical countries. Guava is widely cultivated in Africa, and incorporated into agroforestry systems in India (CABI, 2013). Guava wood is useful for tool manufacturing, fences or firewood (it is a good source of charcoal) (Orwa et al., 2009). Handling of guava fruit is difficult and the rate of cull fruits is high (about 40% in Florida in the 1980s) (Murray et al., 1989). Guava processing yields 25% by-products that can be used in animal feeding (Azevêdo et al., 2011). For the production of guava purée the fruits are chopped and fed through a pulper, which removes seeds and fibrous tissues and forces the remainder through a finisher, which removes the stone cells. Guava waste from this process consists of a mixture of seeds, fibrous tissues and stone cells (El Boushy et al., 2000). Guava leaves can be used as fodder. 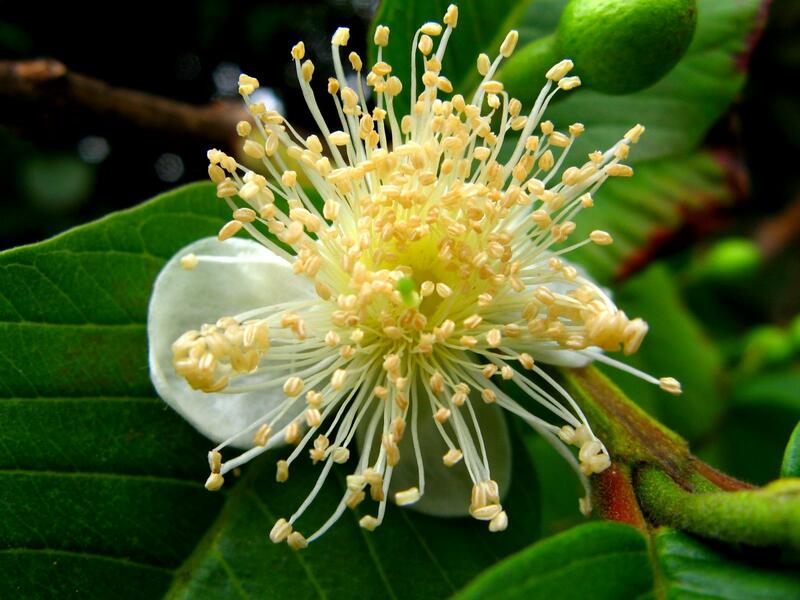 Guava flowers are fragrant, and a good source of nectar for bees (Orwa et al., 2009). Guava may have originated either from tropical America or from Asia, and is now widespread throughout the tropics and subtropics. It is naturalized in the Old World Tropics and in the West Indies. Guava can grow under a wide range of environmental conditions. It is reported as an invasive weed in many countries (mainly in the Pacific Islands and along the Pacific rim) (CABI, 2013). 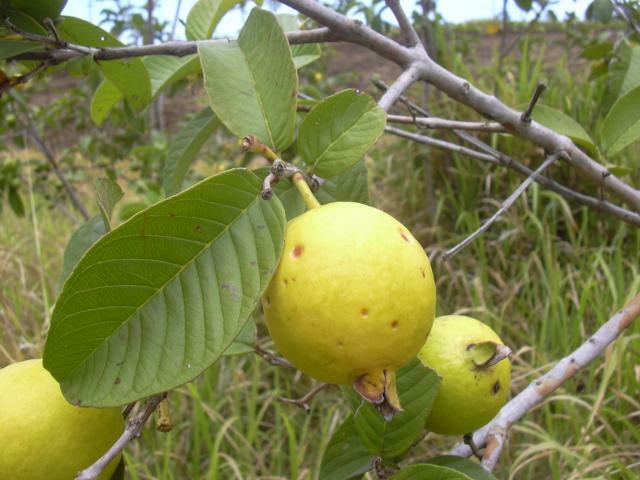 Guava can be found in open areas, such as savannah/shrub transitional zones, or in frequently disturbed areas (Orwa et al., 2009). In some places, it can form dense thickets with more than 100 trees per ha, and it can cause pasture abandonment and land degradation (CABI, 2013; Orwa et al., 2009). There are no recent world statistics for guava production. In India, guava production was above 3 million t in 2012-2013. The main producers of mango and guava were India (21 million t), China (4 million t), Kenya (2.7 million t), Thailand (2.6 million t), and Indonesia (2.3 million t) (Tiwari, 2013). Guava is a very versatile species. It is found from sea level up to an altitude of 1500-2000 m in the tropics but produces better below 800-1000 m. Guava thrives in places where average annual temperatures are about 23-28 °C but can grow within 15-45°C. It does well in places where night temperatures drop to 10°C during winter. Quiescent trees survive light frosts. Guava grows in areas where annual rainfall ranges from 1000 to 2000 mm. Rainfall should be evenly distributed over the year for optimal fruit production. However, rainfall during fruit ripening causes the fruit to lose flavour and split open. Guava is among the most drought resistant tropical fruit crops. It grows on a wide range of soils provided they are relatively well-drained. Guava withstands acidic soils and is tolerant of shade (Ecocrop, 2015; CABI, 2013; Orwa et al., 2009). Guava fruit is highly perishable. It should be handled carefully during harvest and transportation. Fully ripe guava fruits should be processed quickly but can be held for a longer period if stored at a cool temperature. Guava fruits stored at 5°C and 75-85% relative humidity have a shelf-life up to 20 days. In India, plastic bags providing ventilation allow storage at room temperature for 10 days (Rathore, 2013; El Boushy et al., 2000). Guava is propagated both by seeds and vegetatively. In the wild, the seeds are spread by birds and in some places it has become a troublesome weed of pastures. 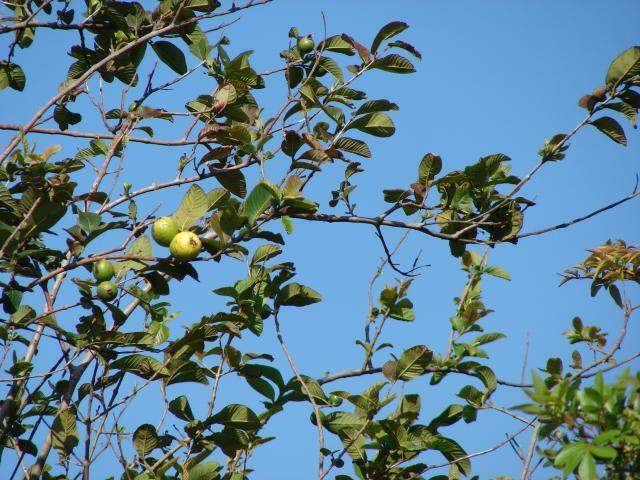 Average yields of fruit from improved trees may be between 12-15 t/ha and up to 50 t/ha have been obtained. Guava trees that have been vegetatively propagated start bearing fruit 2-3 years after planting and are fully productive at 8-9 years. Guava trees propagated from seed require more time for fruit production. In India, 8-10 year old trees from seedlings may produce 400-500 fruits per year while grafted trees at the same age may produce 1000-2000 fruits (Ecocrop, 2015). Guava can be harvested all year round. The fruit is ready to be harvested when it is yellow. In agroforestry systems, guava can be intercropped with fodders plants such as maize, sorghum and cowpea (Orwa et al., 2009). The fruits are most commonly harvested by hand (El Boushy et al., 2000). Guava is considered invasive in some regions, which may be due to its allelopathic effects on native species (Smith, 1998). It is potentially detrimental to native forest species in the Galapagos Islands (Mauchamp, 1997; Cronk et al., 1995). It is invasive in acacia forests and grasslands of Hawaii, where it has been proposed to use goats to control it because they feed on guava bark (Adrian et al., 2012; CABI, 2013). Guava has a positive environmental impact in some environments. 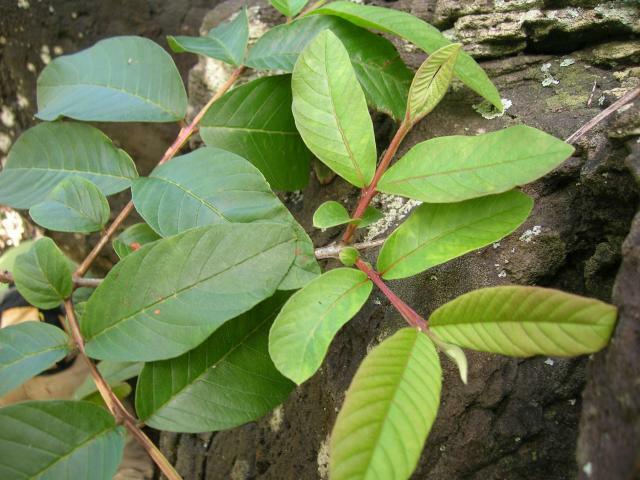 In Costa Rica, guava is a valuable part of Brachiaria brizantha pastures (Villanueva et al., 2008). In Gujarat (India), guava trees have been planted in association with Leucaena leucocephala, buffel grass (Cenchrus ciliaris) and African stylo (Stylosanthes fruticosa) in agro-silvo-pastoral systems to increase productivity and reclaim eroded, degraded and compacted soils with gullies and rocky parts (Raturi et al., 1993). Guava leaves have a poor to moderate protein content (10-14% DM) and a high fibre content (ADF 27-39% DM). Guava waste is made of variable proportions of peels, seeds and stone cells. Seeds are rich in fibre (42%) with moderate oil (14%) and protein (15%) concentrations. Stone cells are highly rich in lignin (37%) and cellulose (54%) (El Boushy et al., 2000). The resulting wastes are, therefore, poor in protein (7-11% DM) and rich in fibre (ADF 48-70% DM), and particularly in lignin (16-22% DM). Like most fruits, guava fruits contain mostly water (more than 70%), are rich in sugars (more than 40% DM) and poor in protein (less than 8% DM). The whole fruits are also rich in fibre, due to the peels and the presence of seeds and stone cells. The vegetative parts of guava have been reported to contain high levels of tannins: 10% DM in leaves and 11-30% DM in bark (Morton, 1987). A value of 15% DM of condensed tannins was reported in guava leaves (Suchitra et al., 2008). These tannins may have antinutritional effects when guava is used as fodder, and probably explain the low digestibility and degradability values observed in guava products. Conversely, high-tannin guava leaves have been considered a valuable additive for ruminant feeding as the tannins reduce methane emissions (Chatterjee et al., 2014; Hariadi et al., 2010). The vegetative parts of guava contain calcium oxalate crystals. High concentrations of calcium oxalates in guava bark may induce calculogenic minerals to accumulate, causing uroliths and penile obstruction in male goats (Adrian et al., 2011). 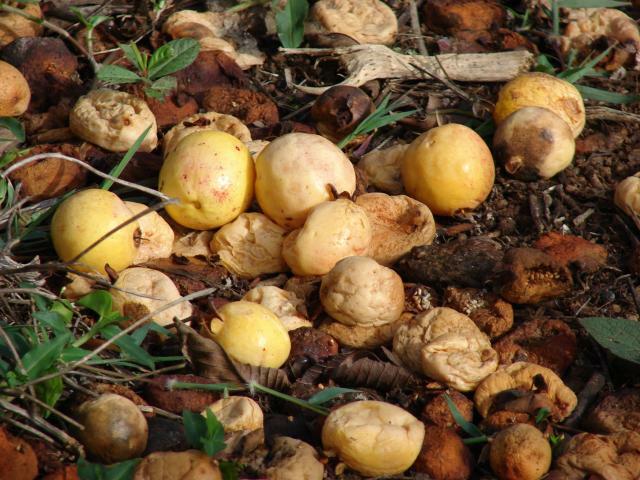 In Hawaii, it has been observed that livestock grazing on pastures invaded with guava often suffer from bladder stones, particularly in goats that commonly strip the bark off the trunk (Adrian et al., 2012). Cattle, sheep and goats have been reported to browse guava leaves, for example in Hawaii and South Africa (Adrian et al., 2012; Chepape et al., 2011). Their nutritive value is generally considered low. In Thailand, two trials gave contradictory results. One trial found a high degradability value (71%) for DM and protein, from which the authors concluded that guava leaves were a high value forage for cattle (Paengkoum et al., 2012). However, another trial found a poor effective DM degradability (47%) compared to other tropical foliages (Suchitra et al., 2008). This low value has been confirmed in Hawaii, where parts of the guava plant were found to have an extremely low in vitro OM digestibility (16% for the leaves), which was explained by the presence of oxalates and tannins (Adrian et al., 2012). These authors recommended avoiding using guava leaves as the sole or predominant feed for livestock, due to their low value and to the risks associated with oxalates (see Potential constraints above). In Bangladesh, Black Bengal goats stall-fed on guava leaves for 140 d lost weight at a rate of 3.9 g/day (Kibria et al., 1994). Guava leaves and guava leaf extract with high tannin content may be useful for the control of gastrointestinal nematodes. Including 2% condensed tannins from dietary guava leaves was shown to decrease nematode gastrointestinal eggs count in kids (Manish Dubey et al., 2012). In Brazil, guava waste (peels and pulp) was reported to have the lowest nutritive value when compared to other tropical fruits by-products such as mango peels (Pereira et al., 2008). Guava juice by-products were the least digestible (less than 30% for the main nutrients) compared to by-products from other tropical fruits, including mango, pineapple and papaya, and were found to have serious limitations for ruminant diets (Azevêdo et al., 2011). In vitro OM digestibility of guava fruits was found to be low, from 24% for the immature fruit to 53% for the ripe fruit (Adrian et al., 2012). Guava fruits are probably highly palatable and it has been reported that livestock eat most of the fruits produced by trees growing in pastures in the tropics. In Costa Rica, it has been estimated from the number of seeds found in cattle dung that cattle ate 11 kg of fresh guava fruits/animal/day during the peak fructification period (Somarriba, 1985). Guava leaf meal could be used to reduce diarrhoea in starter pigs. In the Philippines, 5% and 10% leaf meal (dried and ground leaves) added to pig diets was found to reduce diarrhoea occurrence in piglets (Canlas, 2013). In India, up to 30% sun-dried guava waste was fed to growing pigs (30-60 kg) without significantly affecting growth performance, feed conversion ratio or carcass characteristics (Madhava Rao et al., 2004). Guava by-products are generally of low nutritional value in poultry, though this depends on the product (El Boushy et al., 2000). The energy value is low (between 4.2 and 8.4 MJ/kg), and the protein value is also low, both quantitatively and in their amino acid profiles (Silva et al., 2009; Lira et al., 2011). Technological treatments can increase the usability of guava wastes to some extent, particularly with alkali and autoclaving, but they decreased the lipid value and thus the energy content, compared to untreated guava waste (El-Deek et al., 2009a; El-Deek et al., 2009b). Generally, guava waste is not well adapted for poultry feeding, although no toxicity has been recorded. If some guava by-products are used, the diet must be formulated to take into consideration their very low energy value, and the supplementation with higher quality ingredients may limit the economic benefit. In broilers, moderate levels (5-10%) of guava waste maintained growth performance when used in properly balanced diets (Lira et al., 2009; Adityo et al., 2013). However, feed intake increased, leading to lower feed efficiency (El-Deek et al., 2009a). Guava leaf meal has been tested at low inclusion levels. Some antibacterial effects have been recorded in leaf extracts, but growth performance and feed efficiency were depressed, although not significantly (Rahman et al., 2013). In layers, levels up to 8% can be used without affecting egg production, but may depress feed efficiency (El-Deek et al., 2009b; Guimaraes, 2007). At the time of writing (December 2014), no publication was available in the international literature on the use of guava products or by-products in rabbit feeding. In Indonesia, a survey found that a third of rabbit farmers used guava leaves to treat diarrhoeas as prescribed in traditional medicine, whereas two thirds used a commercial product also based on guava leaf extracts (Yurmiaty, 2011; Sukardi et al., 2007). Guava leaf extracts are recognised for their general antidiarrheal activity and their action on the contractive activity in the small intestine of the rabbit (Ojewole et al., 2008). Guava leaf extracts are also recognised for their antimicrobial activity, particularly against enteropathogenic E. coli, a bacteria common in rabbit diarrhoea (Licois, 1992; Dhiman et al., 2011; Suresh et al., 2008; Vieira et al., 2001). Guava waste tested in Nile tilapia had a relatively good DE value of 15.1 MJ/kg DM, twice that of copra meal. However, the determination of acceptable inclusion rates requires further research (Santos et al., 2009). Guava leaves are a potential disinfectant for shrimp ponds. In China, they have been used as a feed additive at levels varying from 0.025% to 0.4% in shrimp (Penaeus monodon) diets, resulting in higher growth rate and enhanced immune ability (Yin XiaoLi et al., 2014). El Boushy, A. R. Y. ; van der Poel, A. F. B., 2000. Handbook of poultry feed from waste: processing and use. Springer-Verlag New York, 428 p.
Tiwari, R. K., 2013. Indian horticulture database. National Horticulture Board, Min. Agric., Gov. India.